The U.S. variable-annuity (VA) contract is a separate account insurance, very similar to the Canadian segregated fund contract. The VA market is very large, with over 100 billion of annual sales each year in recent times. Premiums net of any deductions are invested in subaccounts similar to the mutual funds offered under the segregated fund contracts. GMDBs are a standard contract feature GMMBs were not standard a few years ago, but are beginning to become so. They are known as VAGLBs or variable-annuity guaranteed living benefits. Death benefit guarantees may be increased periodically. The U.S. equity-indexed annuity (EIA) offers participation at some specified rate in an underlying index. A participation rate of, say, 80 percent of the specified price index means that if the index rises by 10 percent the interest credited to the policyholder will be 8 percent. The contract will offer a guaranteed minimum payment of the original premium accumulated at a fixed rate a rate of 3 percent per year is common. Annuities may be held by entities, rather than natural people. However, for tax purposes, any deferred annuities would not be treated as annuities and, thus, wouldn't be tax-deferred. Any gain made on the annuity would be taxed to the owner as ordinary income. This includes any annuities held by corporations, charitable remainder trusts, and certain other entities. This doesn't include annuities held by an estate because the owner has died, any annuities held by trusts or other entities acting on behalf of a natural person, annuities within qualified retirement plans, tax-sheltered annuities, or IRAs and immediate annuities. After the tenth year, you would be able to draw out as much of the contract's value as you wished. This is actually a contingent deferred sales charge, since it isn't levied unless you pull out more than the allowable maximum. More commonly, though, it is called a back-end load. Back-end loads are designed to discourage the annuity owner from transferring his or her money to a different company, or taking it out altogether. There are some insurers who don't charge any type of sales charge. These annuities are akin to no-load mutual funds. Annuities are investment products with some tax and insurance twists. They behave like savings accounts, except that they give you slightly higher yields, and they're backed by insurance companies. As in other types of retirement accounts, the money that you put into an annuity compounds without taxation until withdrawal. However, unlike most other types of retirement accounts 401(k)s, SEP-IRAs, and Keoghs an annuity gives you no tax deductions. Annuities also charge relatively high expenses. That's why it makes sense to consider contributing to an annuity only after you fully fund the tax-deductible retirement accounts that are available to you. The best annuities available today are distributed by no-load (commission-free) mutual fund companies. For more information about the best annuities and situations for which annuities may be appropriate, be sure to read Chapter 10. Immediate annuities require the annuitant to pay a lump sum of money, rather than paying a number of premiums over time. The payouts to the annuitant begin as soon as the lump-sum payment is received, or the annuity start date. This date is the first day of the first period (i.e., month) for which an amount is received as an annuity, under the current tax law. A likely use of an immediate annuity is by someone who is about to retire and would like to receive monthly income right away. An immediate annuity can be paid out in either fixed or variable amounts. Individual annuities have two different phases the accumulation phase and the distribution phase. The annuity owner pays premiums and the contract value grows due to the premiums during the accumulation phase. There is no tax The distribution phase begins once the annuity owner begins to receive the annuity's payouts. There are a few limiting factors to when the distribution period may begin. First, the owner must be at least 591 2 years old, otherwise he or she will be subject to the IRS's 10 percent early withdrawal penalty. Of course, there are a few exceptions. Second, annuities carry surrender charges. Therefore, you will want to defer the distribution phase until the surrender charges have declined or have been eliminated. Finally, annuity contracts generally stipulate the maximum age at which distributions must start. However, this is usually a quite advanced age, such as 87. There are no tax laws that specify a required beginning date for nonqualified annuities. Although no one expects you to become an expert on every aspect of your portfolio, that's what your advisor is for, you should have some understanding of its components. If your advisor recommends investing in an annuity, make sure you are familiar with what an annuity is. Don't be afraid to ask questions it will make you feel better. Be sure you are comfortable with the answers your advisor gives you, as well as with each individual product. Some unit-linked contracts associated with pensions policies carry a guaranteed annuity option, under which the fund at maturity may be converted to a life annuity at a guaranteed rate. This is a more complex option, of the GMIB variety. This option is discussed in Chapter 12. You might not think 8 percent sounds like much of a return. But it's certainly better than bonds, annuities, certificates of deposit, and even stocks (during many decades of our economic history). Indeed, the famous stock market bull,Wharton professor Jeremy Siegel, forecasts average stock returns over the next 10 to 20 years of just 6 to 8 percent a year. Why Because stocks today remain highly overvalued relative to historical norms. Tax-advantaged, or qualified, plans include qualified retirement plans (i.e., 401(k)s), traditional IRAs, variable annuities, and variable life insurance policies and the like. (See Chapter 6 on annunities.) While each type of tax-advantaged investment has its own pluses and minuses, the following advantages and disadvantages apply to each. Using the IRR function in a spreadsheet or an IRR-enabled financial calculator, we enter the individual cash flows and apply the IRR function. We illustrate how we can solve for IRR in this particular problem using a financial calculator without a dedicated IRR function. The cash flows from t 1 through t 6 can be treated as a six-year, 4 million annuity with 7 million - 4 million 3 million, entered as a future amount at t 6. For segregated fund and variable-annuity contracts, the relevant data for a diversified equity fund or subaccount are the total returns on a suitable stock index. For the U.S. variable annuity contracts, the S& P 500 total return (that is with dividends reinvested) is often an appropriate basis. For equity-indexed annuities, the usual index is the S& P 500 price index (a price index is one without dividend reinvestment). A common index for Canadian segregated funds is the TSE 300 total return index1 (the broad-based index of the Toronto Stock Exchange) and the S& P 500 index, in Canadian dollars, is also used. We will analyze the total return data for the TSE 300 and S& P 500 indices. 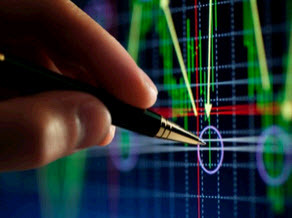 The methodology is easily adapted to the price-only indices, with similar conclusions. Differentiation refers to any number of attributes that might separate one company from another, such as product quality, customer service, intellectual property, regulatory benefits, and annuity revenue streams. Cost structures include innovations, efficiencies, contracts, distribution positions, and shrewd purchasing decisions that produce long-term cost savings unavailable to competitors. V Volatility of your investment balance. When you invest in mutual funds that hold stocks and or bonds, the value of your funds fluctuates with the general fluctuations in those securities markets. These fluctuations don't happen if you invest in a bank certificate of deposit (CD) or a fixed insurance annuity that pays a set rate of interest yearly. With CDs or annuities, you get a statement every so often that shows steady but slow growth in your account value. You never get any great news, but you never get any bad news either (unless your insurer or bank fails, which could happen). Figure 7-1 shows the time profile of the cash flows Ct for three bonds with initial market value of 100, 10 year maturity and 6 annual interest. The figure describes a straight coupon-paying bond, an annuity, and a zero-coupon bond. As long as the cash flows are predetermined, the valuation is straightforward. Guaranteed Minimum Income Benefit (GMIB) The guaranteed minimum income benefit (GMIB) ensures that the lump sum accumulated under a separate account contract may be converted to an annuity at a guaranteed rate. When the GMIB is connected with an equity-linked separate account, it has derivative features of both equities and bonds. In the United Kingdom, the guaranteed-annuity option is a form of GMIB. A GMIB is also commonly associated with variable-annuity contracts in the United States. Combined with hedge funds, whose returns are generally taxed immediately at the maximum individual income tax rate. Whole-life insurance policies allow the cash value to grow free from income tax and can be structured to avoid estate tax. Deferred annuities can also allow investment balances to grow without being taxed until the return is distributed years later. These insurance products are expanding the range of allowable investments to include hedge funds, extending their favorable tax treatment to hedge fund returns. * It is a violation of Federal law for an open-end mutual fund, a closed-end fund, or an exchange-traded fund to sell shares to the public unless it has registered (or made mandatory financial filings) with the SEC. t The fund industry has gone from very large to immense. At year-end 2002, there were 8,279 mutual funds holding 6.56 trillion 514 closed-end funds with 149.6 billion in assets and 116 exchange-trade funds or ETFs with 109.7 billion. These figures exclude such fund-like investments as variable annuities and unit investment trusts. To illustrate differences in conventional wisdom, U.K. pension funds historically invested 80 or more of their portfolios in common stocks, U.S. pension funds 60 to 70 , Canadian pension funds were at one time more like 40 , and Swiss pension funds closer to zero. (Many Swiss pension plans preferred simply to buy annuities.) Such asset allocations are influenced partly by local laws, but in most cases, Company A follows an approach because it's conventional wisdom it's the approach followed by peers in its country. Aren't all pension funds worldwide trying to do the same thing An optimal approach for investing a pension fund in one country is probably pretty close to an optimal approach in another country. Except for conventional wisdom herd mentality. An insurance wrapper is an insurance contract wrapped around capital to protect against loss or damage by a contingent event. Insurance contracts are risk-management tools. Financial advisers recommend that clients exposed to the risk of fire, theft, accident, and liability purchase adequate insurance to protect against those risks. The products we're discussing here use either a life insurance contract or an annuity contract as the wrapper. The question the informed client deserves to have answered is, Does this wrapper, the insurance contract, provide enough value in the form of protection against loss of capital to justify its cost Advisers sometimes fail to understand that once one of these contracts is wrapped around a block of capital, the legal nature of that capital changes in many important ways. Advisers need to understand the costs and features of insurance wrappers and to be able to explain them to clients so that they can make informed decisions about whether to use them. ANNUITY Annuity taxed at 25 Net after-tax annuity (if liquidated) Annuity income after-tax for life (no ifs) Annuities Most often no front load back loads average 6 reducing for 7 years Long-term investors who value the annuity contract features and are accumulating retirement capital (see www.bloomberg.com thinktank). SEPs, or simplified employee pension plans, are retirement plans that use IRAs or IRA Annuities as the receptacle for contributions. SEPs are often attractive to small business owners because of the reduced administrative tasks and expenses. Documentation, reporting, and disclosure requirements are simpler for SEPs than for qualified plans. However, in exchange for simplicity is the loss of flexibility. For example, under an SEP, all employees must be covered as long as they meet specified requirements, and the benefits must be fully vested at all times. SEPs allow employers to make contributions to an employee's retirement without utilizing a more complicated retirement plan, like a 401(k). You can use SEPs if you are incorporated or if you have self-employment income, so check with your CPA to see if you qualify to establish a SEP. In fact, all of the financial guarantees that were described in Chapter 1 can be viewed as derivative securities, based on some underlying asset. In the segregated fund or variable-annuity (VA) contract, the underlying security is the separate fund value. Similarly to derivative securities in the banking world, financial guarantees in equity-linked insurance can be analyzed using the framework developed by Black, Scholes, and Merton. Check your 401(k) plan, your bond funds, and your insurance company's annuity. Why Remember those mortgages I spoke about earlier in this chapter Banks and mortgage companies issued trillions of dollars worth of those mortgages in recent years. But after the mortgages were issued, they were sold to other financial institutions. Huge amounts were sold to the most obvious buyers, the Federal National Mortgage Association (FNM) and the Federal Mortgage Assurance Corporation (FRE). These giant government-sponsored entities are usually referred to as Fannie Mae and Freddie Mac. They hold many mortgages but they also package and resell these mortgages to third parties, such as pension plans, corporations, and insurance companies. Remember that many of these mortgages are sub-prime (that is to say, risky). Hmmm. There goes that alarmist robot with the flailing arms again. In this chapter, we investigate the risk factors investors face when making decisions on saving and investing their retirement portfolios. We illustrate the common mistakes investors make in their asset-allocation and spending decisions in retirement. Using Monte Carlo simulation and optimization techniques, we illustrate the benefits of including lifetime payout annuities in retirement portfolios. Finally, we explore the idea of optimal allocation to payout annuities in an investor's retirement portfolio. We also offer a comprehensive asset- and product-allocation strategy that addresses the unique requirements of today's and tomorrow's retirees. Just as with variable annuities, there are various subaccounts within a variable life policy. The policyholder can choose how the premium is allocated between the different subaccounts so that he or she can try to receive the best possible return on the money, all the while receiving beneficial tax treatment. These subaccounts usually represent each type of asset class thus, an insured person could opt to split his or her premium between a growth fund, fixed fund, and bond fund, for example. The growth of the cash value of a variable life policy is also tax-deferred. And, as with other types of life insurance, the beneficiary of a variable policy receives the death benefit tax-free. The types of subaccounts vary with the company that is offering the policy, however you can generally choose from a wide range of asset classes. In fact, the subaccounts are set up like mutual funds. You could choose to have a portion of your premium invested in a junk bond fund, or perhaps a high-growth fund. The possibilities are only limited by the insurance company. You will also be able to switch between funds at no cost, just as you would be able to with an annuity. Plus, since the investment account grows on a tax-deferred basis, you won't be generating any capital gains tax when moving your money between accounts. Pat doesn't need life insurance because no one depends on Pat's income. Besides, it's a lousy investment (for the compelling reasons why you're better off not using life insurance for investing, see Chapter 1). Pat should dump the life insurance and either take the proceeds or roll them over into a variable annuity (which I explain later in this chapter). Price and downside protection are important criteria in our selection process, as are probable catalysts and upside potential. We also prefer businesses with annuity revenue streams, low or very liquid inventory, and only as many coworkers as are needed to get the job done (sometimes reflected in revenue coworker statistics). Naturally, we also watch the business cycle to consider how macroeconomic trends might impact different kinds of businesses. Overall, we break our search into three general categories (see Figure 20.1). For starters, we assume you intend to obtain a (level) annuity for your 25-year retirement period we postpone discussion of planning for the uncertain time of death. (You may well live to over 100 years what then ) Suppose your gross income this year was 50,000, and you expect annual income to increase at a rate of 7 per year. In this section, we assume that you ignore the impact of inflation and taxes. You intend to steadily save 15 of income and invest in safe government bonds that will yield 6 over the entire period. Proceeds from your investments will be automatically reinvested at the same 6 until retirement. Upon retirement, your funds in the retirement account will be used to purchase a 25-year annuity (using the same 6 interest rate) to finance a steady consumption annuity. Let's examine the consequences of this framework. Inflation puts a damper on your plans in two ways First, it erodes the purchasing power of the cumulative dollars you have so far saved. Second, the real dollars you earn on your portfolio each year depend on the real interest rate, which, as Chapter 5 showed, is approximately equal to the nominal rate minus inflation. Since an appropriate savings plan must generate a decent real annuity, we must recast the entire plan in real dollars. We will assume your income still is forecast to grow at a 7 rate, but now you recognize that part of income growth is due to inflation, which is running at 3 per year. Table 18.2 demonstrates the difference between the two types of shelters. The first line shows the advantage of the traditional IRA in sheltering contributions. Taxes paid during the working years are lower, yet taxes during the retirement years are significant and, later in life, you pay less tax with Roth IRAs (line 2). For the middle-class income we examine here, this is not sufficient to make Roth IRA more attractive, as the after-tax annuities demonstrate. The reason is that early tax payments weigh more heavily than later payments. However, one can find situations in which a Roth IRA will be more advantageous. This is why it is important for investors to check their unique circumstances. Those who are not able to do so themselves can log on to one of the many websites that provide tools to do so (e.g., http www.quicken.com). 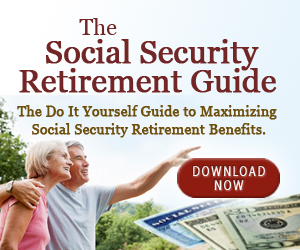 The series of a retiree's lifetime indexed contributions (there may be zeros in the series for periods when the retiree was unemployed) is used to determine the base for the retirement annuity. The 35 highest indexed contributions are identified, summed, and then divided by 35 X 12 420 to achieve your Average Indexed Monthly Income (AIME). If you worked less than 35 years, all your indexed earnings will be summed, but your AIME might be low since you still divide the sum by 420. If you worked more than 35 years, your reward is that only the 35 highest indexed wages will be used to compute the average. With all this in mind, it is evident that investment in a home enters the savings plan in two ways. First, during the working years the cash down payment should be treated just like any other large extra-consumption expenditure as discussed earlier. Second, home ownership affects your retirement plan because if you own your home free and clear by the time you retire, you will need a smaller annuity to get by moreover, the value of the house is part of retirement wealth. There are three classes of insurance companies Life insurance companies offer long-term contracts that pay off in retirement annuities, or as lump sums upon the insured's death, property and casualty companies insure against hazards like worker injuries, automobile accidents, and flood and fire damage, and reinsurance companies take risks from other insurance firms that may be too large for the original underwriters to bear. All three types are heavily regulated and have three accounting systems statutory accounting for regulatory authorities, generally accepted accounting principles (GAAP) for reports to the public, and a set of accounts for tax authorities. Insurance companies also have two types of ownership. They are either publicly held in the traditional corporate form or held by their policyholders as mutual companies. Why didn't these people simply create homemade dividends There are two psychological traits that explain this behavior mental accounting and self-control. First, making homemade dividends probably didn't even occur to these investors. Mental accounting (Chapter 8) causes investors to separate investments into different mental accounts. 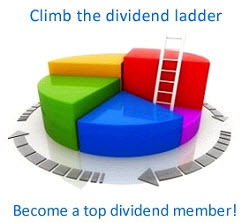 When investing for income, investors buy highdividend stocks, bonds, and annuities (Chapter 9). A different mental account and investment strategy is used for capital gains. It is difficult to think of a stock in the income mental account as having the potential to capture a capital gain. Counts, annuity products, and pension products, and by selling those products to consumers. The FC uses the revenue raised from the sale of the secondary securities to purchase higher-yielding assets called primary securities, such as mortgages, loans, bonds, and stocks. The interest, dividends, principal, and gains from the primary securities, along with the other assets of the FC, pay the cash flows associated with the secondary securities the monthly pension checks, or the claims under a casualty policy, or the life insurance payment whatever products the FC has created. The Private Client Group provides services and products related to the management of wealth, including broker dealer activities, banking, retirement planning, insurance and trust services, and mortgage lending. Brokerage activities are provided by two subsidiaries Merrill Lynch, Pierce, Fenner and Smith and Merrill Lynch International. Insurance activities consist of underwriting and marketing life insurance and annuity products written by Merrill Lynch Life Insurance Company and ML Life Insurance Company of NY. The annuity cost graph is close to a mirror image of the long-term bond yields shown in Figure 12.2, so most of the comments made in the previous section also apply here. In this figure, we also show the short (three-month) interest rates, demonstrating the low volatility of the long rates compared with the short rates. A defined-benefit plan is a traditional pension plan, where the benefit is defined as an annuity X a month for the rest of our life or a cash balance pension plan, where the benefit is defined as a lump sum. In either case, the plan sponsor bears the entire risk or opportunity of investment results. The employee is entirely unaffected. The scheme does not permit any pre-retirement withdrawals. There are no government guarantees. The accumulated balances can be withdrawn at age 60. Only a portion however, cab be withdrawn in lump-sum. The rest will be either in the form of an annuity (requiring close coordination with IRDA), or a phased withdrawal option will be devised. Note that the default risk on the bond is reflected in the interest rate used Note that the cash flows over the next 12 years represent a growing annuity, and the present value could have been computed with a simple present value equation, as well. Note that the cash flows over the next 12 years represent a growing annuity, and the present value could have been computed with a simple present value equation, as well. Environment (due to faster than expected prepayments) and also less desirable in a higher rate environment (again due to prepayments). Think of an IO as an annuity of variable maturity, which contracts in a falling rate environment and also receives less than expected interest payments. In a rising rate environment, the life of the IO extends, exactly at the worst possible time, when an investor would prefer to have as much income as possible to reinvest at higher rates. 10s are often used as hedges to fixed-income securities due to their unique return characteristics. 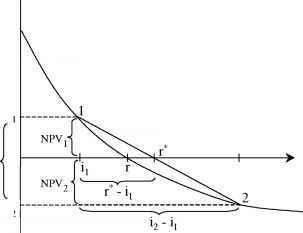 The PV function, for example, can be used for calculating several present value calculations, including simple annuities. Example 2 To calculate the present value of an annuity of 10 per month (paid in arrear) for 10 years at a rate of interest of 12 p.a. (convertible monthly), you would enter (in any cell in the spreadsheet) This returns 697.01 as present value for the annuity. Life insurance company guarantees annuity pay-outs in a rising market. Fund guarantees pension. Stockmarket performance varies. Stock market crashes. Profits dry up. Life insurance and pension fund capital falls so alarming regulators. Guaranteed annuity or pension threatened. Life company reneges on guaranteed annuity pay-out. Pensions reduced or entrants to scheme excluded. 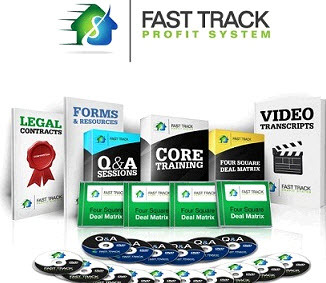 Clients threatened with bankruptcy of company. Policy-holders take losses on annuities. Now that you have started saving your money, the question becomes where to invest it. Although you should have a financial plan from your financial advisor, it's important that you know some things about investing. In this chapter and the following three chapters, we discuss stocks, mutual funds, annuities, bonds, cash, and REITS. Weill, formerly the chairman and CEO of the Travelers Group, the parent company of Smith Barney and several other insurance, mutual fund and annuity companies, is largely responsible for taking this traditional old brokerage firm, which, for much of its history, had not shown much of a yen for expansion, and placing it in front of the rolling snowball of frenetic financial services mergers of the late 1990s. Determining projected future cash flows (known as pro forma cash flows) can be done several ways. An easy way is to take the current year's reported earnings (i.e., the company's after-tax net income) and multiply by some number such as the average earnings growth rate for the last five years. This gives projected net income for next year. Usually, earnings are projected for the first five to seven years, after which a terminal value is added. (The terminal value is equal to an annuity beginning in a future year, discounted back to present.) Since accounting income is often a poor proxy for cash flow, analysts will carefully calculate The Free Cash Flow by starting with EBIT (earnings before interest and taxes), taking out taxes on those earnings, and adding back interest, depreciation, amortization, and other cash-affecting items.